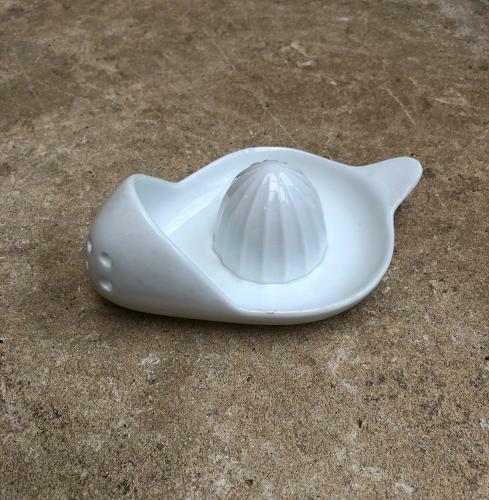 Mid Century White Porcelain Citrus Squeezer. Lovely shape..good & clean. One little mark/nick to the top edge inside all shown on the photographs...perfectly useable.